Our excitement rose to its heights once we got down from the taxi and checked in at Chennai airport. It marked the beginning of our journey to Siem Reap, Cambodia. You will see green lands and small houses spread out when you are about land in this city. Our eVisas were ready and the process with immigration in Siem Reap Airport was pretty smooth. Thank God our flight was the only one that landed around that time and we headed out in under 20 minutes after we got down from the aircraft. We had booked our travel guide for two days to take us through the places I had jotted down for site seeing. You cannot enjoy or understand anything about this city and its temples unless there is someone to tell you the story. Our tour guide was San Park and he picked us up from the airport. 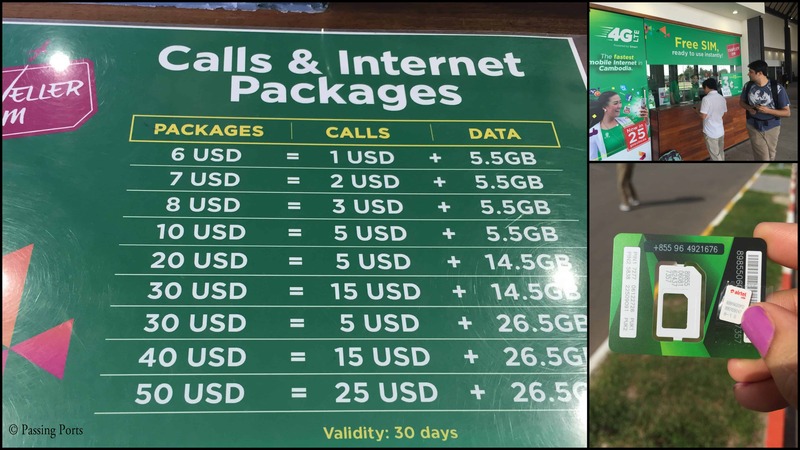 Before leaving the airport, my husband and I got the local sim cards to start spamming our friends and family 😀 There are many packages for you to choose from and we chose five days package from Smart, whose counter can be found right outside the airport. San was born and brought up in Siem Reap and has been a Tour Guide for more than 10 years. He owns a neatly maintained Toyota Corolla, was pretty enthusiastic the whole time and speaks good English. Our first stop was at our Hotel – Villa Medamrei for us to quickly freshen up. 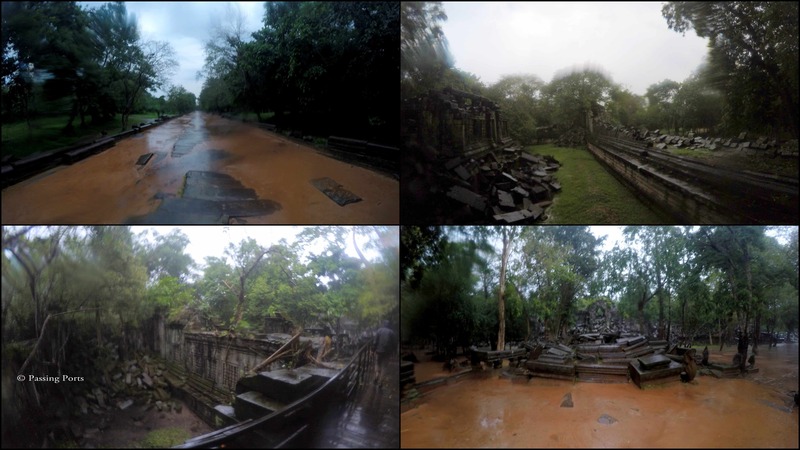 From there, we traveled all the way to North of Siem Reap to visit the not so popular touristy sites. You need a whole day to visit these places. We started at 1000 hrs and returned at around 1900 hrs so make sure you plan nothing but for these three. This will be a pretty exhausting experience as it involves a lot of walking and climbing. Wear those hats, apply lots of sunscreen and get ready for some of the best experiences of your lifetime. Prasat Thom (the step structure) in Koh Ker is one of the tallest built structure by the Khmer Empire. A Hindu Temple dedicated to Lord Shiva, this was the ancient capital of Cambodia. The Kings lived and ruled from here for a short while. She is a real beauty with a lot of greenery and good views from the top and I suggest to not miss this place. PV stands on the border is a Hindu temple dedicated to Lord Shiva. Thailand fought with Cambodia for the ownership of this property and after a long dispute, Thailand soldiers were asked to withdraw. You can find bullet marks and the Cambodian army personnel around the temple. You have to park the car in the ticket area to reach the temple. 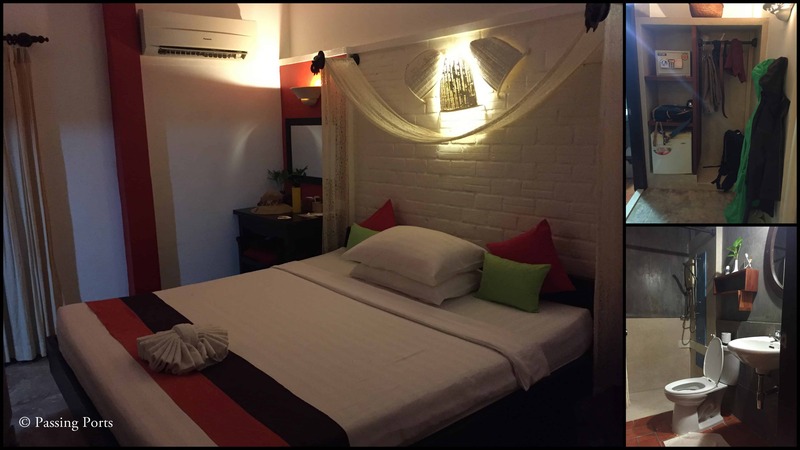 Buy the two wheeler taxi tickets and they will take you all the way up to visit the site. Brace yourself for some good amount of walking once they drop you off at the entrance of the temple. 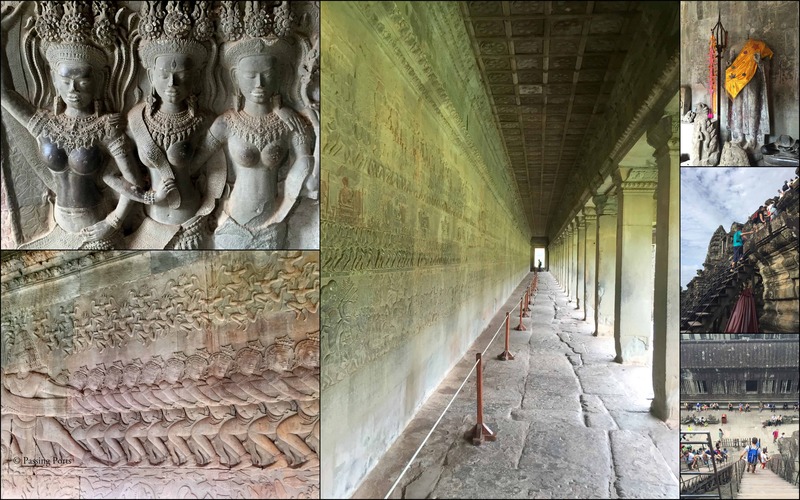 Preah Vihear is neatly maintained and the architecture will marvel you. We set our early for day to visit the Angkor Temples. The sunrise in Angkor Wat is where we first headed. Well yes, it’s worth all the hype – SO SO MAJESTIC. Take some time to look at these carvings as they are so intricate and looks brilliant. Dress appropriately to climb all the way to the top of the fifth chamber. We saw officials turning away a lot of people for not dressing as per the temple standards. A Vishnu Temple, Angkor Wat is considered as one of the best representations of Khmer Architecture. It’s quite a walk and if you have all the time in the world, just wander around as there is so much to see and you’ll feel the trance. Next stop was Angkor Thom. 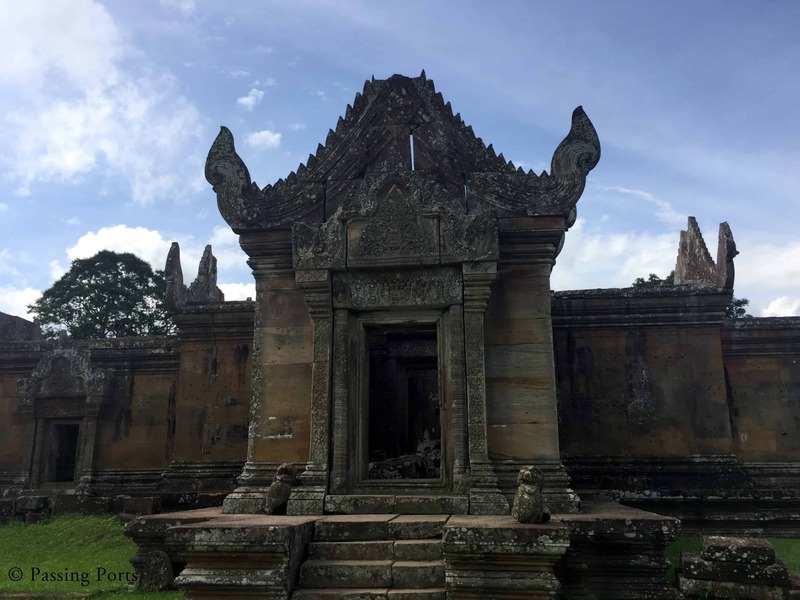 Many temples are inside Angkor Thom area and we first headed to Bayon – my most favorite of the Angkor Temples. This is a nicely built temple with so many faces carrying different expressions. The smiling face resembles the then ruling king, King Jayavarman VIII and is built at the exact centre of Angkor Thom. This is one hell of an interesting place to spend time. Baphuon, a pyramid structured temple comes next which is again Lord Shiva Temple. This greatly damaged temple is currently being restored. 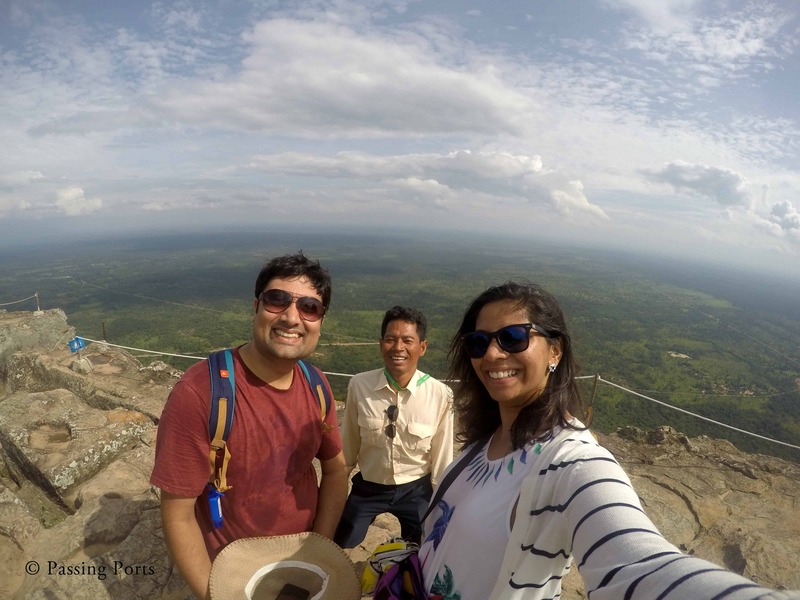 It is within Angkor Thom and is quite a steep climb to the top. By then we were literally sweating and tired, so much so that we asked San to show us around the other temples from the outside. We realized our fitness level was bad :-(. The video will visually take you there. Terrace of the Elephants and Ta Keo are the next landmarks that you will come across. Ta Keo temple was one of those temples that I wanted to climb and explore but my muscles were all cramped by then and the massage was more inviting than anything else. San left us back at the hotel for us to pack, check out and hit the massage. We were debating between the Pre Rup temple and Tonle Sap River for sunset. 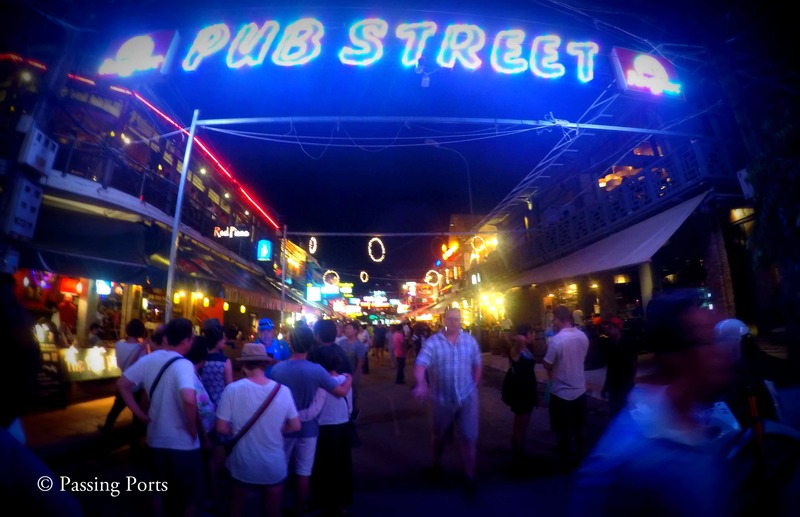 When in Siem Reap – Pub street is the place to be. That says it all. We enjoyed the music, the crowd, the drinks and the overall energy. We liked Temple Street Pub and I suggest you have a look as they have three levels and all three offer different ambiance. The night market is one place where you can look for travel souvenirs and experiment your bargaining skills. There were about three to four Indians restaurants and we went to two of those. Fresh fruits and tender coconuts were always available outside these temples. As I am writing this, I am all smiles and want to go back and visit those that I missed. Perhaps, i’ll spend more time at Bayon this time around :). Ping me if you need more information and click here for Cambodia and Vietnam travel itinerary. The Big Fat Italian Robbery - this young Indian couple was robbed in Italy, and their story will leave you speechless! I am so jealous now! I can’t wait to visit Cambodia and especially Angkor Temples one day! Your photos at sunrise are stunning ! I bet it was worth to get up early! Pub Street looks fun as well! Looks like you can do a lot in two day over there 🙂 Great photos! wow, so much history and beauty to this place. Thanks so much for all of the tips. It looks like an incredible place to explore. I know.. there is sooo much history 🙂 You must try to visit if you get a chance! I think I’m one of the only ones who’s still not been here! It’s great to see you’ve covered other temples other than Angkor Wat. Just a stunning place! Cambodia calling then may be 😀 Oh yes, there was one more place that I wanted to explore but couldn’t due to lack of time. First- love the video! Great job! The temples looked amazing! Would love to go here one day and explore! 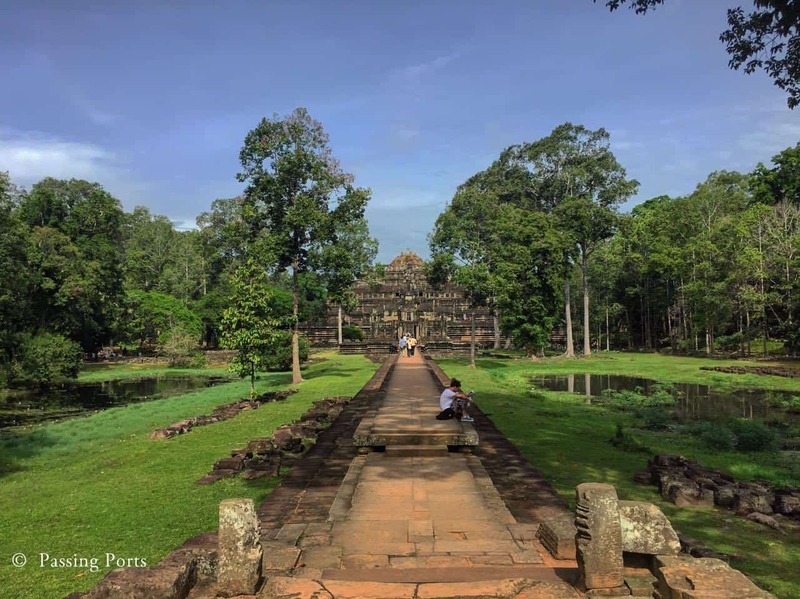 So glad you visited North of Siem Reap to visit the not so popular touristy sites, I really enjoyed the fresh perspective … and the tip about needing a tour guide! 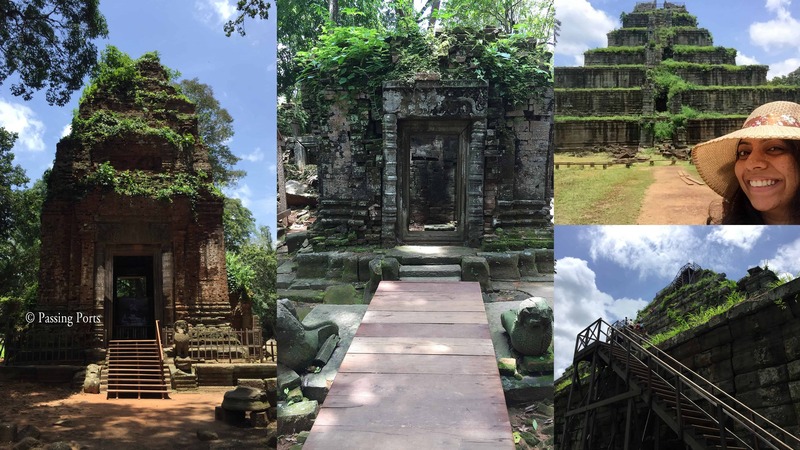 North is more beautiful and there is so much of history there as well 🙂 And yea a guide is a MUST in Siem Reap – unless you can read the books that offer indepth information. We loved Siem Reap when we visited Cambodia, Angkor Was is just stunning and your pictures are great. Next time I’d like to visit the north and get off the beaten track!! Thanks for the tips.